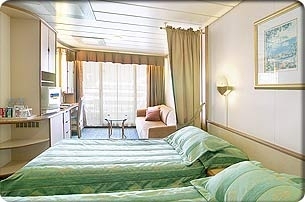 Please note: Oceanview staterooms 2000, 2002, 2004, 2006, 2500, 2502, 2504, 2506, 2600, & 2602 on deck 2 have a porthole instead of a window. 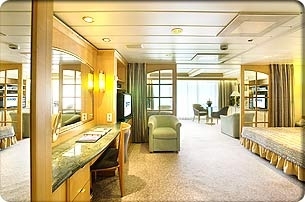 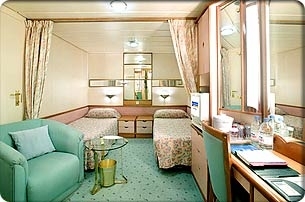 Staterooms 6120 & 6624 have obstructed views. 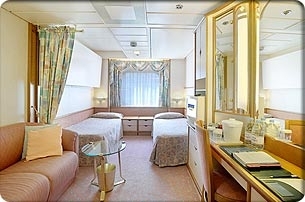 Note that this is a guaranteed category and no particular stateroom number will be assigned until passengers are on board. 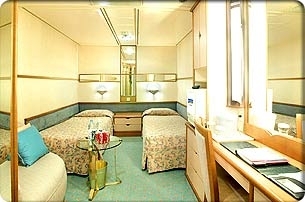 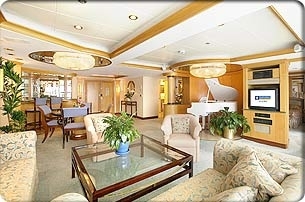 This standard stateroom offers two twin beds, a private bathroom and all the amenities of our standard staterooms. 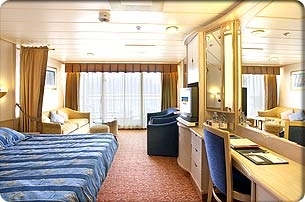 Note that this is a guaranteed category and no particular stateroom number will be assigned until passengers are on board or just before.